Samantha back again, and today I have a whimsical, floral card to share! I was inspired but this BEAUTY of a card! 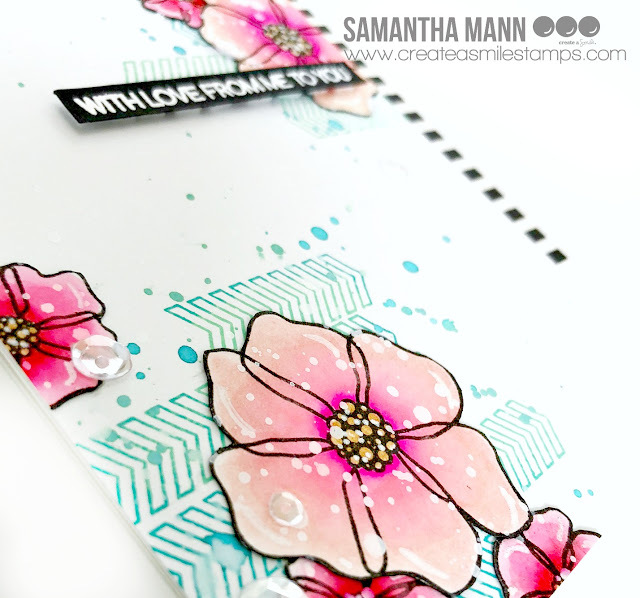 I just LOVE the colors and knew I could transfer them into a card with flowers! I was going for fun, whimsical colors with card! I love the teals and mints for the chevron images, because they reminded me of leaves, in an abstract way! Ha! But you could easily add leaves instead, or change up the colors for a more sophisticated or realistic look! 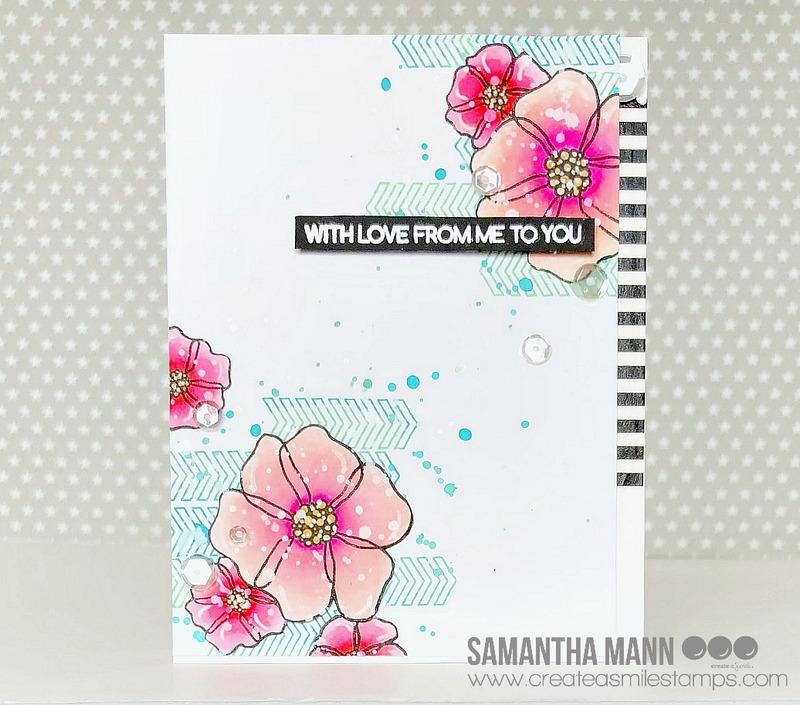 The sentiment on this card is from the All About You stamp set. Those scrumptious chevron images are from the Hocus Focus stamp set, and the flowers are from the oldie but goodie, Magic Flowers stamp set. The sequins are from Pretty Pink Posh! Did you know there are many many stamps and other products marked down...some up to 50% off? YES!! Head over to the Create a Smile Stamps shop here and check everything out!